Don’t become frustrated when trying to find the best hardwood floor refinishing Elkridge MD has to offer. Trust the professionals at Fabulous Floors to provide you with the best hardwood floor renewal service that will make your home shine once again! Call Fabulous Floors Baltimore for professional service at a great price. We proudly provide professional hardwood floor refinishing in Elkridge, MD, and the surrounding areas. 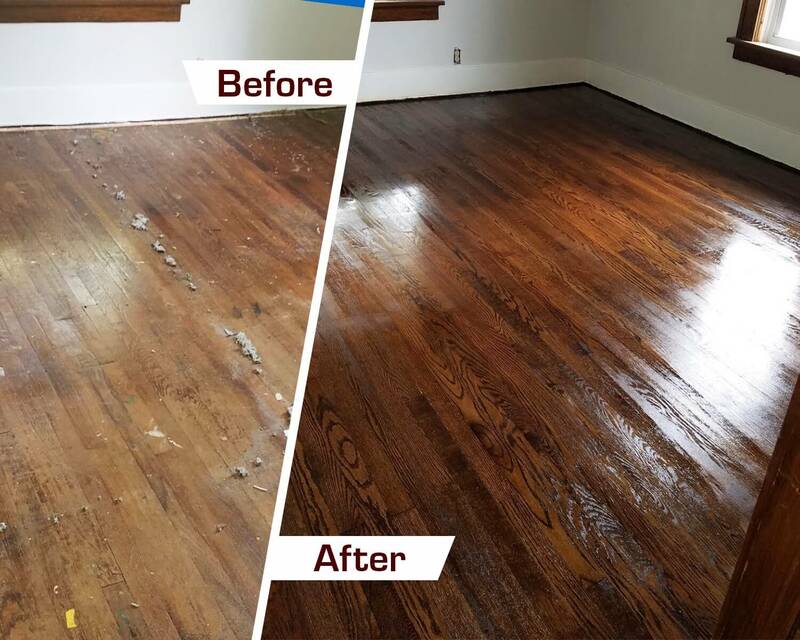 We are trained to handle every aspect of hardwood floor refinishing, right down to the customer service involved in communicating and handling the project alongside our clients. Call now for a free price quote of our hardwood refinishing services in Elkridge and to schedule your appointment. When we first arrive, you can expect our expert technicians to evaluate the flooring thoroughly. Our goal is to decide if our hardwood refinishing service is totally right for you. If so, we’ll start by sanding your floors with our powerful equipment to create a solid and smooth working space. Our sanding process is virtually dust free, so you won’t need to leave or have a big mess to clean up. Then we’ll have you pick which of our many stain options best suits your flooring style and your home decor. After we apply the stain, we’ll coat the entire floor with our special polyurethane treatment. This helps protect your wood floors against future damage and seals the stain so the color lasts longer. Not only are our hardwood floor refinishing services in the Elkridge area streamlined for quality control and quick service, but our products and equipment are GREENGUARD certified. We don’t perform any service that would damage your home or the environment. Being certified means that we are keeping the same standard of quality and excellence across every project. Bring back the beauty of your hardwood floors today!